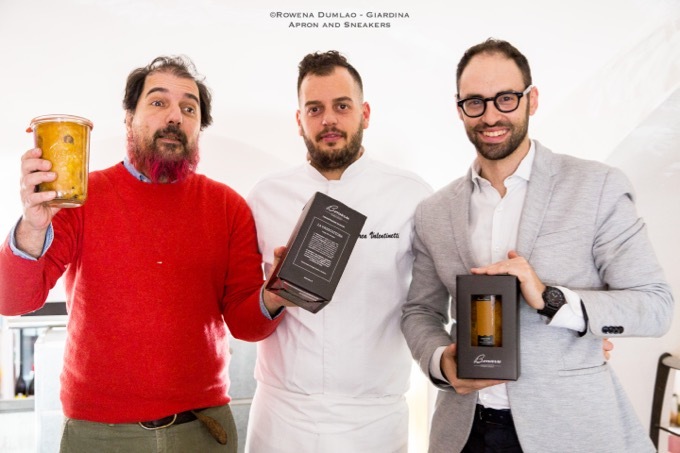 With the passion for excellent food quality and innovation, a new creation came up in the form of Bonverre Panettone, an exclusive brand of Suite. It is a 250-gram (thus smaller than usual) panettone baked in vasocottura technique or in a glass jar. Even if it doesn't hold the classic dome-shape, it still holds the notable aroma and flavor of the much-loved panettone because the traditional recipe was retained. The only difference from the classic ones is the longer shelf life and the notable softness and moisture. It is a quarter of the classic size and can be shared generously by two persons or with just the right amount if shared by four. Bonverre are sweet and salty cakes created in an innovative way of vasocottura or baking in glass jars that are realized by a group of chefs. Being vacuum sealed in the glass jars they were baked in, the cakes get a longer shelf life without the use of preservatives. 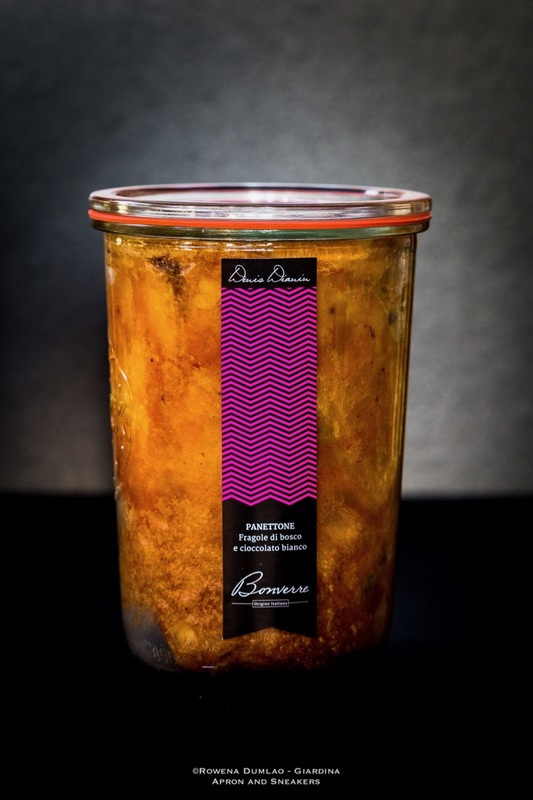 For Christmas 2016, Bonverre launched its first creation in a glass jar, the Panettone. 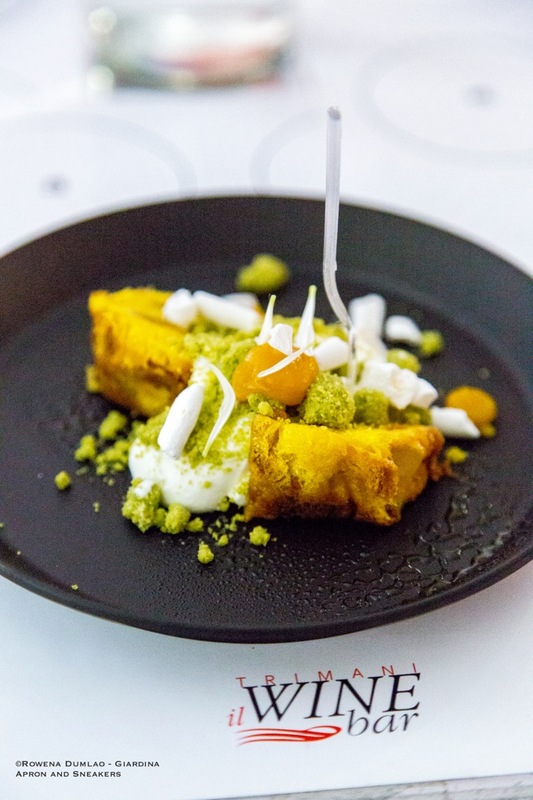 It was created in collaboration with Chef Denis Dianin of D&G Patisserie, Master AMPI (Academia Maestri Pasticceri Italiani / Academy of Masters of Italian Pastries) using ingredients of excellence and sourdough starter. 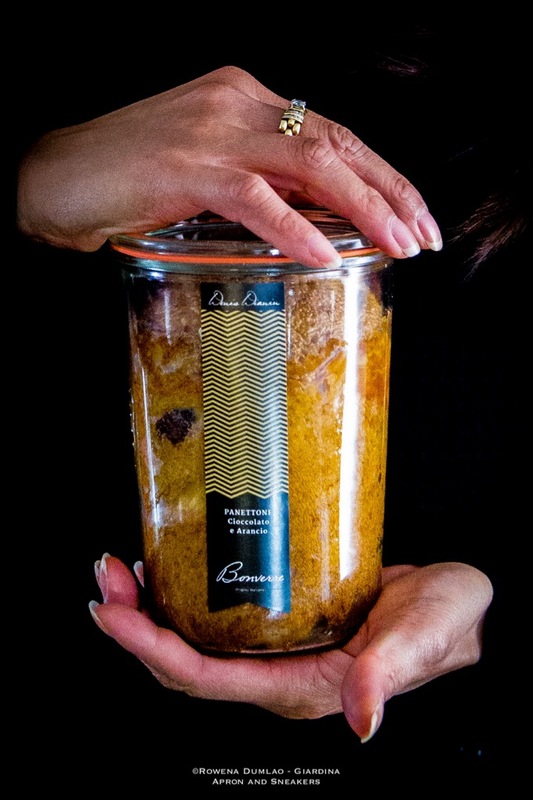 This panettone in the glass jar was created to have a product that maintains the excellence of physical, chemical and organoleptic characteristics over a longer period of time. 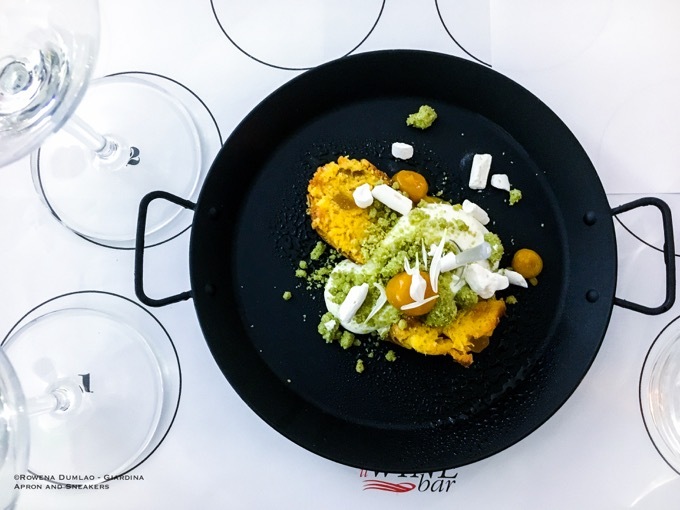 At a tasting and wine pairing of the Bonverre panettone at Trimani Il Wine Bar in Rome, Chef Andrea Valentinetti of D&G Patisserie, created a dessert using the panettone with ginger and apricot served with mascarpone citrus mousse, mango and crispy green tea biscuits. The panettone was amazingly soft, moist and aromatic (with just the right amount) and with the whole composition, it came out even more divine. 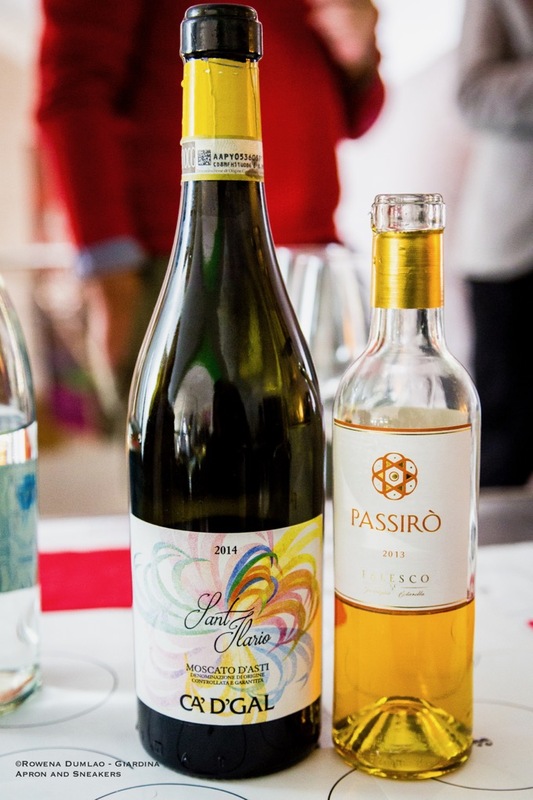 Paolo Trimani of Trimani Il Wine Bar paired it with Ca' d'Gal Sant'Ilario Moscato d'Asti DOCG 2014 and a Falesco Passirò Bianco Passito 2013, a sweet dessert wine that makes it perfect to enjoy the panettone after a meal. To take out the panettone, just pull the rubber on the side and the top glass cover will pop open (be careful because it might fall), then run a long knife around the glass to loosen the panettone. Once opened, it can last in the container for about a couple of days. 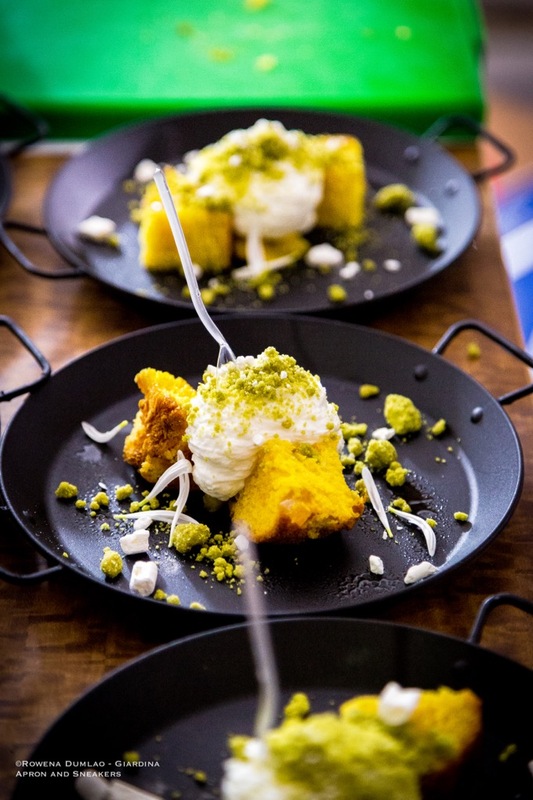 In Rome, Bonverre Panettone can only be purchased at Trimani Il Wine Bar for €19.80 each.